Clela Errington is a singer, songwriter and harmonica player. Passionate and soulful, her blend of folk, jazz, and world music influences creates a warmth and intimacy that is captivating. 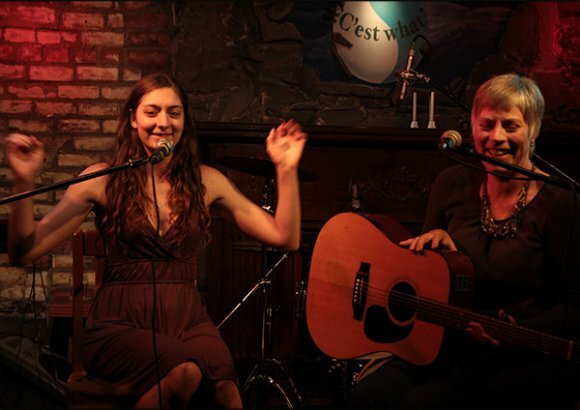 Clela is a performer on festival stages,in clubs and at house concerts throughout Ontario, Quebec and the Maritimes. A classic late bloomer,Clela produced her first of three independent albums at the age of 43. As an artist, she is inspired by the beauty and power of the natural world, particularly the geography of her childhood home in the Thousand Islands region of the St Lawrence River. 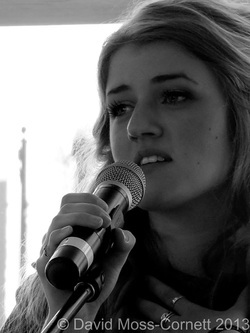 LEAH MATHIES is a 16-year-old singer/songwriter from rural Owen Sound, Ontario. Growing up the youngest of 3 girls, Leah had a vivid imagination that kept the rest of the family laughing with her stories and playful insight to life. Soon those stories would be channelled into songs. Everything in her life became a song and music just made sense. At the age of 13, her gift for capturing stories and creating infectious melodies came to the attention of producer Jamie Aplin (Thousand Foot Krutch, Lights, Kira Isabella) and he immediately spotted her emerging talent. Inspired by his encouragement and support, her writing took flight and her catalog of songs grew rapidly. Leah’s voice is pure and a breath of fresh air in an industry that has quickly become “manufactured.” Her songs about life, love and relationships, seem to appeal to teens and adults alike. Her debut ep “Mesmerized”, produced by Aplin and co-produced by David Kalmusky (The Wilkinsons, The Road Hammers, Emerson Drive) is set to release on June 4.2013. A portion of the proceeds from this show will go to HER Grey Bruce. This group has a passion for women's issues. Raising the awareness of injustices and advocating for equality and safety through community events, music and dramatic arts, is this group's focus. Recently this group lead the One Billion Rising for Justice Owen Sound in solidarity with No More Silence, Owen Sound - Justice for Indigenous Women - February 14th. Artistic Photography from visual artist Laura VanDyk will be displayed. One print will go to a lucky audience member as a door prize.